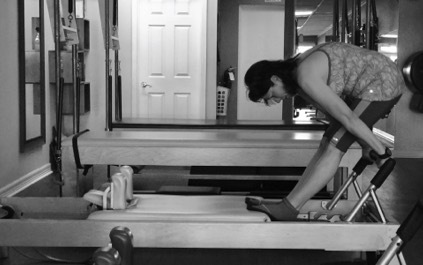 Cecilia Dominguez is the owner of Pilates Authentica. A native of Corpus Christi, she moved to San Antonio in 1999 to complete her Bachelor's Degree in Exercise/Sport Science from St. Mary's University. Her goal was to attend medical school, however when her brother, Ben Martinez, exposed her to Pilates in 2000, she was hooked. Instead of pursuing a medical degree, she began the rigorous training required to complete Romana's Pilates certification program. She is currently a Level V Instructor. Prior to earning the certification in 2009, Cecilia was a Personal Trainer/Group Exercise Instructor and has over 20 years of experience in the fitness industry. Karen Alanis has been a fully certified Authentic Pilates instructor since November 2002, and is currently a Level V instructor with Romana's Pilates New York. After a rigorous 600 hour apprenticeship under the tutelage of Juanita Lopez, she received a full certification from Romana Kryzanowska and Sari Mejia-Santos, proteges of Joseph Pilates. Prior to teaching Pilates, she attended Arizona State University for three years as a major in dance, then moved to Chicago to complete her BFA in Dance Performance at Columbia College. Joanna is a professional teacher for over 25 years. She has received awards for teaching from UTSA and the Rotary Club International. She graduated from LeMoyne College in Syracuse, NY with a BS and an Masters from St. Mary's University. 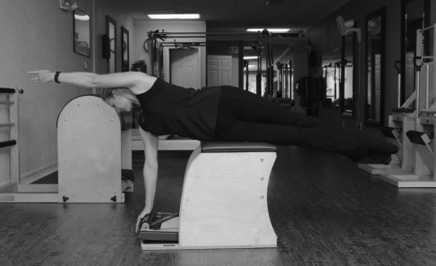 Her love for teaching moved into the pilates arena where she studied and received the Peak Pilates Level II certification. Over the years Joanna has also supplemented her Pilates certification with certifications in PiYo, UGI ball, Resist-A-Ball and Spinning classes. Come join Joanna in transforming and restoring your body.